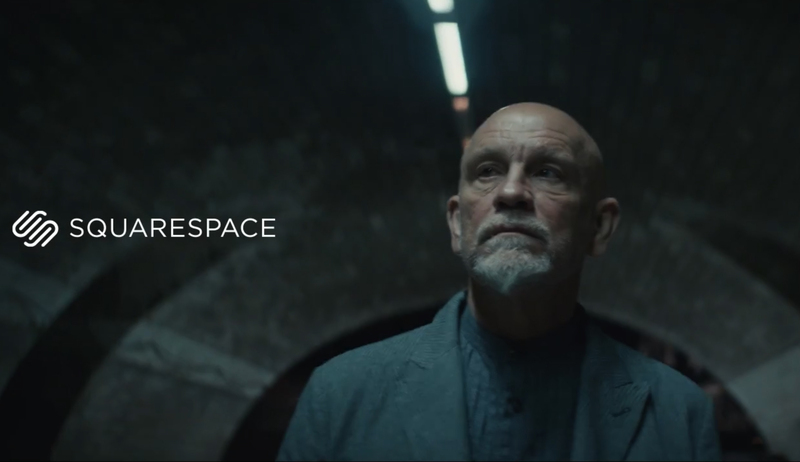 John Malkovich has partnered with website development company Squarespace to launch his own online fashion site, launched with a short film, “Journey”. Malkovich recently played a range of David Lynch film characters on a Squarespace campaign promoting the David Lynch Foundation. Now he’s playing himself as an actor connecting with his lifelong passion for fashion design. Malkovich is shown on movie shoots and hotel rooms working on his sketches and attempting to gain acceptance in the fashion world. At one point, the actor turns down a prospective role to work on his designs. Malkovich created his own fashion company, Mrs. Mudd, in 2002. The company released its John Malkovich menswear collection, “Uncle Kimono”, in 2003, and its second clothing line, “Technobohemian”, in 2010. He has now worked with Squarespace to launch his own online John Malkovich fashion website, johnmalkovich.com. This is the first in Squarespace’s “Make Your Next Move” campaign, which will run through 2017 with interior designer Tom Delavan, hip-hop yoga studio Y7 and Urban Cowboy, a boutique bed and breakfast. Since childhood, John has had an interest in clothes and fashion photography. He studied costuming at university and, to this day, does costume design for theater. He walked the Comme des Garçons runway when no actor would and was featured in campaigns for Prada, Antonio Miro, and Armani, among others. Psychogenic Fugue is the full length Director’s Cut film from the project “Playing Lynch”, a collaborative meditation on the work of David Lynch promoting the David Lynch Foundation. Hosted by Squarespace at playinglynch.com and directed by Sandro, this film features 7 re-creations of some of Lynch’s most iconic characters, as performed by John Malkovich, and featuring the music of David Lynch, as performed by artists like The Flaming Lips and Angelo Badalamenti. The John Malkovich Fashion Squarespace campaign was developed at John X Hannes, New York by executive creative directors Hannes Ciatti and John McKelvey, senior art director Conor Hagan, senior copywriter Matt McCarron, executive producer Kristine Ling, senior planner Iain Newton, operations manager Karen Lo, head of client management Verena Zannantoni, working with Squarespace CEO Anthony Casalena, chief creative officer David Lee, director of brand marketing Amory Wooden, project manager Farah Sheikh, customer relations lead Natasha Ivankovitser, lead designer Donovan Mafnas, designers Luis Gonzalez, McLane Teitel, Shawn Lee. Filming was shot by director Miles Jay via Smuggler with director of photography Chayse Irvin, production designer Carly Reddin, stylist Jurgen Doering. Local production in Paris was through Premiere Heure with producer Catherine Guillot. US line producer was Alex Orlovsky. Photography by Zach Gold was retouched by Craig Reynolds. Editor was Ben Jordan at Work Editorial with executive producer Erica Thompson, producer Jamie Lynn Perritt, assistant editors Kenneth Casey Swoyer and Adam Witten. Colourist was Tom Poole at Company 3 with producer Clare Movshon. Visual effects were producer at ArtJail by creative director Steve Mottershead, executive producer John Skeffington, producer Mike Tockman, Flame lead Chris Memoli, titles artist Ryan Hawthorne. Sound was designed at Jafbox Sound by sound designer Joseph Fraioli. Audio post production was done at Sonic Union by mixer Steve Rosen and producer Pat Sullivan. Music, Devotchka “How It Ends”, was produced at Q Department.